Using dumbbells 60-75% lighter than the shoulder press. Sit on an exercise bench with back support and hold two dumbbells in front of you at about upper chest level with your palms facing your body and your elbows bent, your arms should be next to your torso. The starting position should look like the contracted portion of a dumbbell curl. Now to perform the movement, raise the dumbbells as you rotate the palms of your hands until they are facing forward. Continue lifting the dumbbells until your arms are extended above you in straight arm position. Breathe out as you perform this portion of the movement. Begin to lower the dumbbells to the original position by rotating the palms of your hands towards you. Triset: One set will consist of seated side lateral raise, seated front dumbbell raise and seated bent over deltoid raise, rest period should last no longer than 90 seconds. You may not be able to use the same weight for each exercise so plan ahead and make sure you know what weights you will be using, to ensure good form you may need to start off light. 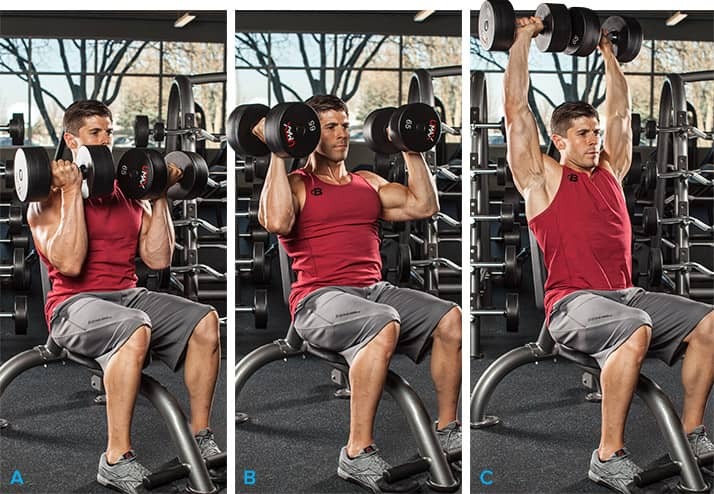 If done correctly then the previous tri set should have pre exhausted your deltoids before you get to the dumbbell press, you may be wise to have a spotter on standby for the exercise below. 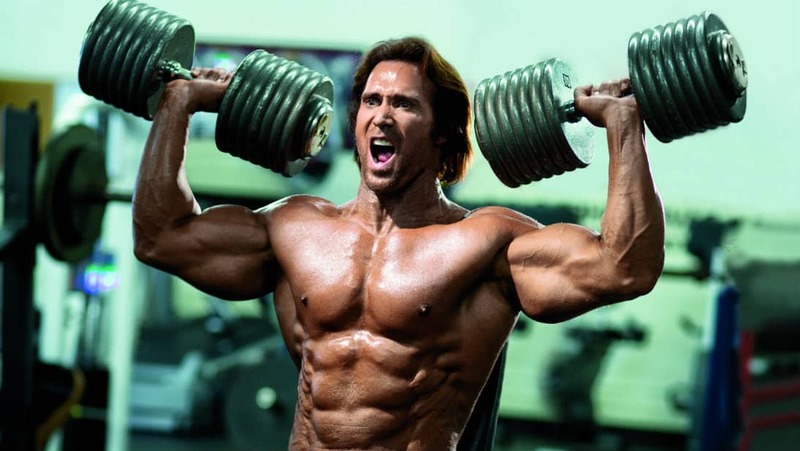 Superset: One set will consist of heavy seated dumbbell press followed by light Arnold shoulder press, rest period should last no longer than 90 seconds. The benefits of trisets and supersets is that it helps you avid plateaus and it is also beneficial in saving time, increasing intensity and in this particular instance overloading the muscles. And because this workout consists of both compound and isolation movements, and if performed correctly then you should have a tingling sensation of doms in your shoulders the next day which means you are well on the road to having monster capped deltoids.